Washington DC (SPX) Feb 08, 2019 - U.S. Transportation Secretary Elaine L. Chao has pinned FAA Astronaut Wings on Virgin Galactic's SpaceShipTwo crewmembers, Test Pilots Mark "Forger" Stucky and Fredrick "CJ" Sturckow. Last year's historic spaceflight marked the nation's return to space on an American-made rocket, and paves the way for future travel to space with commercial spaceflight participants. "We are entering a new and exciting frontier in our nation's space activities," said Secretary Chao. "These wings represent a remarkable achievement for these crewmembers and tell all Americans that their access to the wonders of space may be within their reach." On December 13, 2018, Virgin Galactic's SpaceShipTwo, named the "VSS Unity" was carried aloft by the WhiteNight Two carrier aircraft from the Mojave, California Air and Space Port. With Stucky and Sturckow onboard the VSS Unity, the WhiteNight Two gradually climbed to an altitude of almost 40,000 feet where it released the spacecraft. Stucky and Sturckow lit the engine and guided the VSS Unity 51.39 miles (271,340 feet) above the Earth and into space. The vehicle returned from space and safely glided back to the spaceport, guided by its pilots. The VSS Unity was manufactured in America by The Spaceship Company, a California-based company owned by Virginia Galactic and headquartered in the Mojave dessert. 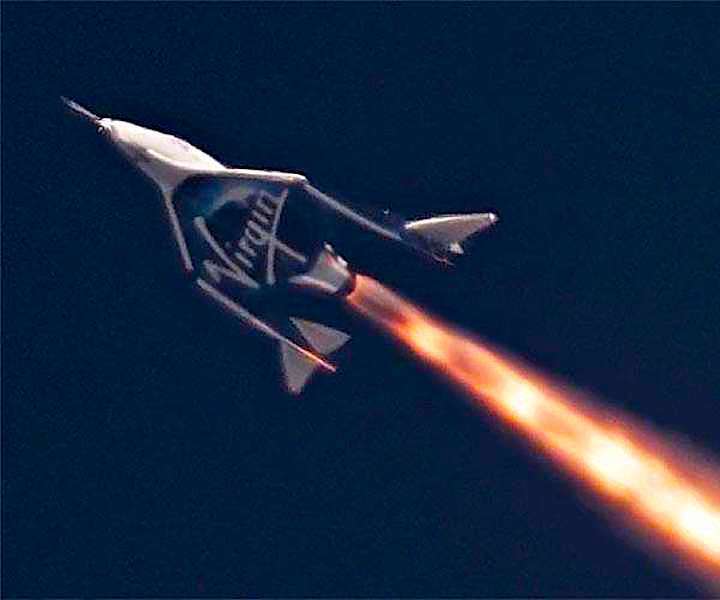 Sir Richard Branson, the Founder of Virgin Group said, "The U.S. leads the world both in the exploration of space and in creating the conditions for a new space age, where it will operate alongside and in partnership with the private sector. While today's awards ceremony is, of course, a proud moment for our wonderful pilots and the whole Virgin Galactic team, it is also symbolic of an enabling regulatory framework that allows for innovation while prioritizing safety. It is this which has allowed us to pursue our dreams and which will ultimately underpin our commercial success as we seek to democratize space for the benefit of humankind."